You are currently browsing the Speed Factor Racing blog archives for April, 2014. IT’S HERE!! 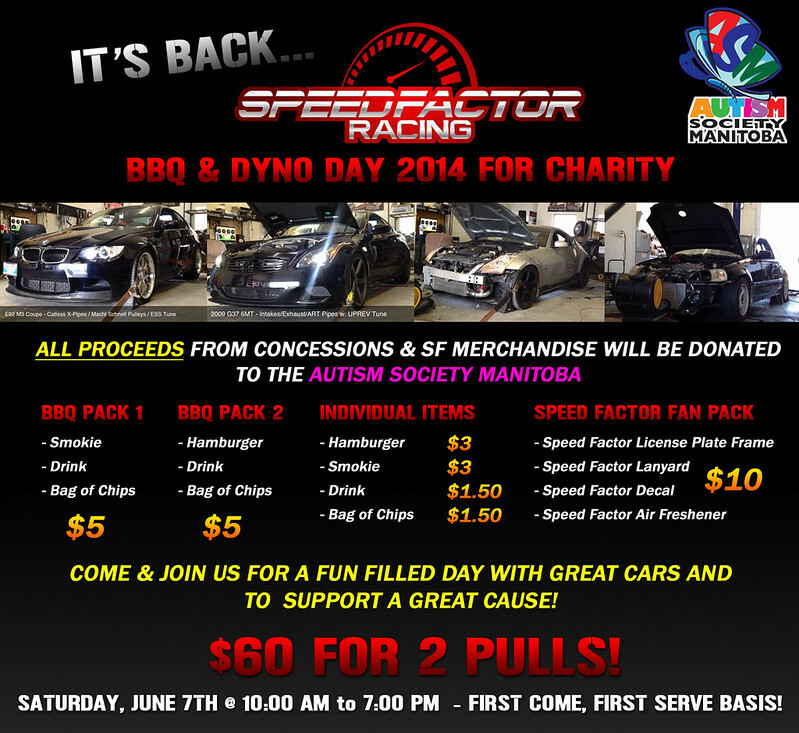 Speed Factor Racing 2014 Dyno Day – Come join us for a day filled with fun and food in support of the Autism Society Manitoba! Saturday, June 7th – 10am – 7pm. 1465 Chevrier Boulevard, Spots are limited! All proceeds from concessions and SF merchandise will be donated to this great cause. K-Tuned 70mm Exhaust IN STOCK! New product in stock at Speed Factor Racing! 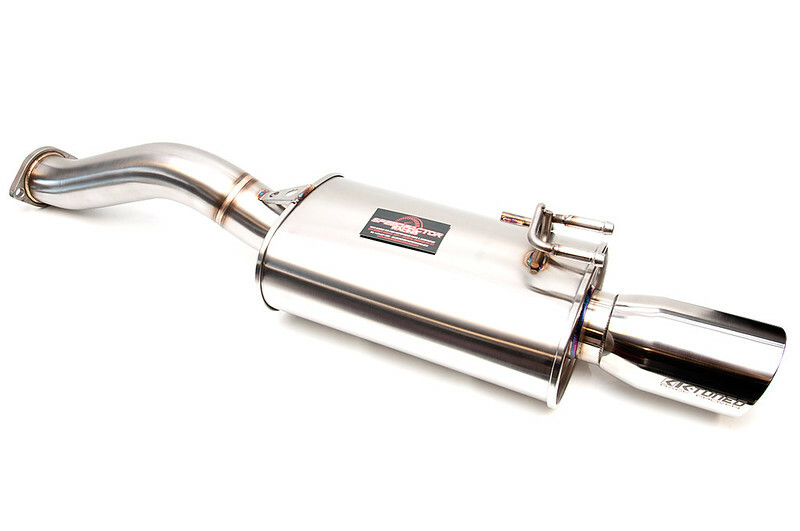 K-Tuned’s 3″ Exhaust system for 06-11 Civic Si Coupe. Tired of a loud 70mm canister exhaust? 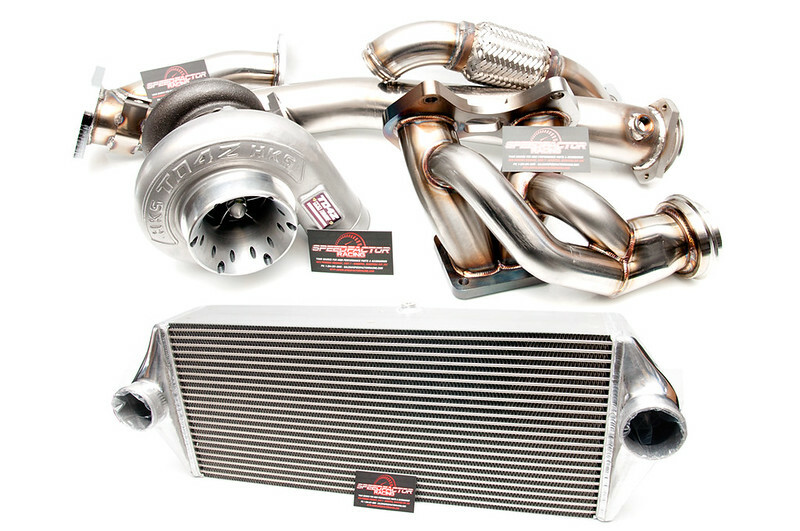 K-Tuned’s all new stainless steel 70mm exhaust is a stealthy alternative! The welds and attention to detail on the exhaust are phenominal! RSX application also available. Looking for any RAYS wheels? Come see us for pricing, fitments and finishes available! 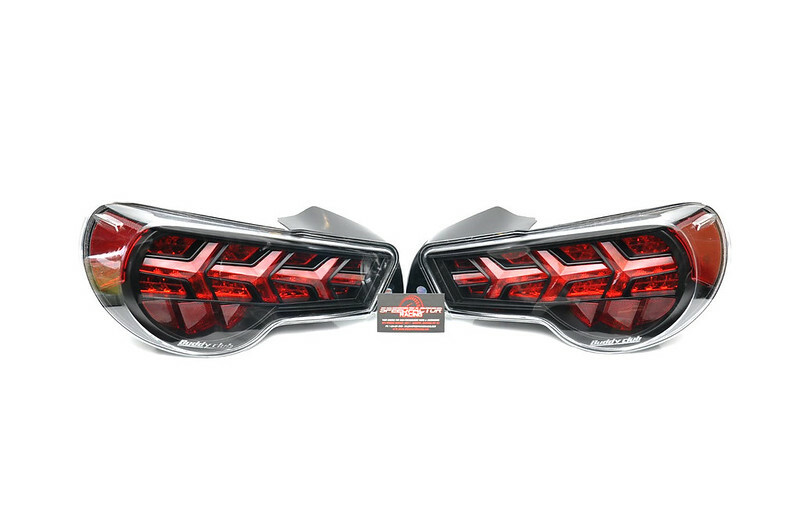 Buddy Club Tail Lights for Subaru BRZ / Scion FRS just arrived! Looking for any other Buddy Club Racing Spec products? Stop by the shop to check out our inventory! One lucky customer will be walking home today with some Recaro SPA seats with Carbon Kevlar backing. 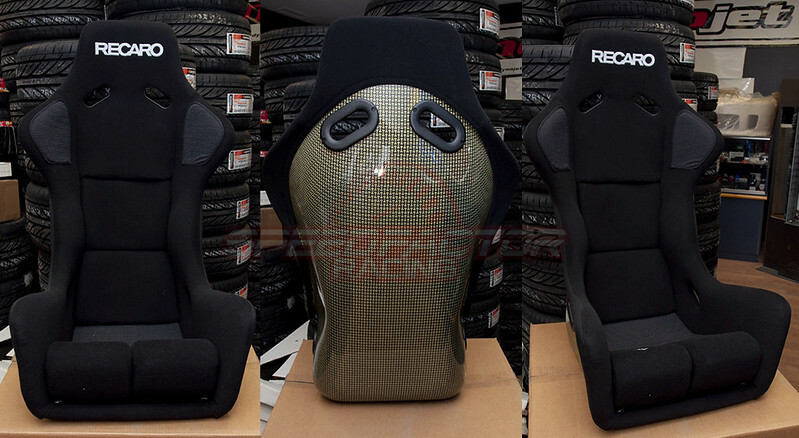 Looking for any Recaro seats or hardware? Stop by our shop for pricing! Nardi Woodgrain Shift Knobs IN STOCK! New Arrival!! 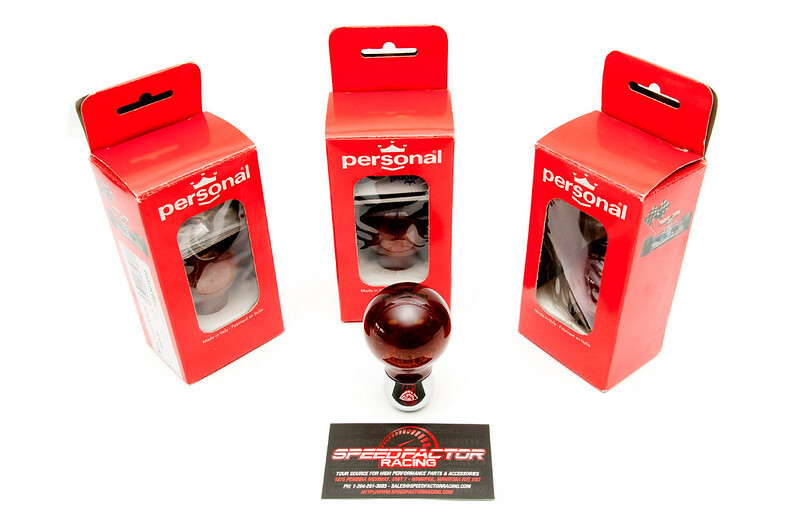 Nardi Woodgrain Shift Knobs are IN STOCK! Universal fitment with adapters to fit your shifter. 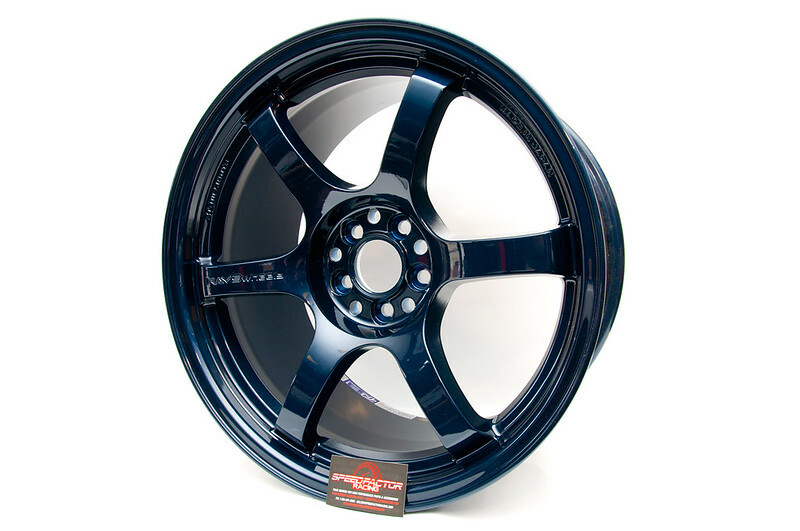 These are a perfect match to your Nardi woodgrain steering wheels. Looking for other Nardi/Personal products? Stop by our shop to see our FULL inventory of all Nardi/Personal products. Who needs their morning coffee when you can wake up to BOOST? HKS T04Z Single Turbo upgrade with V-Mount for FD3S RX7. We can’t wait to have this thing setup and tuned on our dyno! Looking for any HKS parts or accessories? Give us a shout! We love goooooooooooooold! 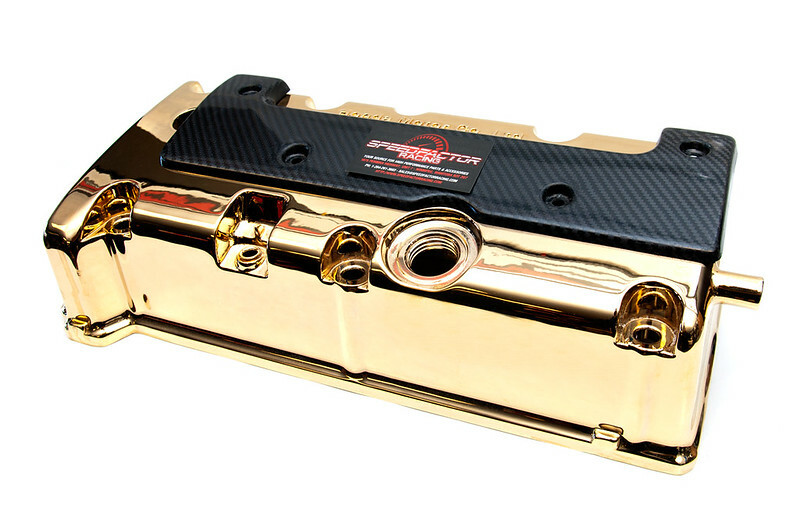 K20 valve cover dipped in real 24K Gold paired with a Password:JDM Carbon Fiber spark plug cover. Looking for other Password:JDM products or accessories? Stop by the shop to check out our inventory! Friday, December 4, 2015New K-Tuned Suspension!